The full drum sheet music for “Welcome To The Jungle” by Guns N Roses from the album Appetite for Destruction (1987). Complete with tom grooves, hard-rocking beats – and yes, cowbell – Steven Adler nails a classic drum part on Welcome to the Jungle. 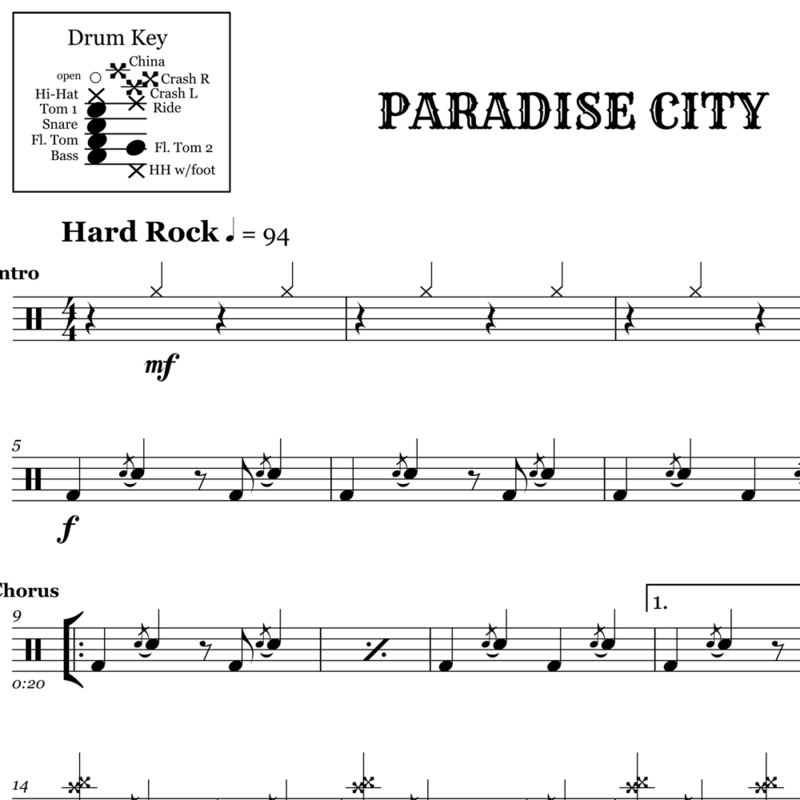 Adler uses expressive hi-hat dynamics and techniques, all of which are notated in the sheet music so that you can reproduce his signature sound. 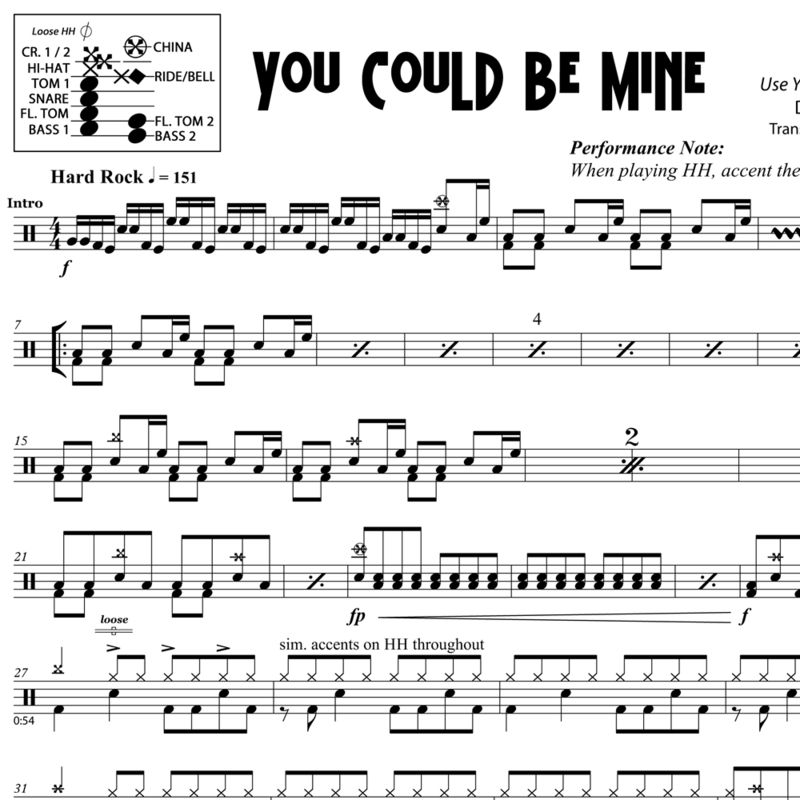 Play along with Adler and the GNR crew in this Billboard 200 number one hit.